Hymenasplenium cheilosorum (Kunze ex Mett.) Tagawa, Acta Phytotax. Geobot. 7: 84. 1938. – Asplenium cheilosorum Kunze ex Mett., Abh. Senckenberg. Naturf. Ges. : 177, t. 5, f. 12 & 13. 1859; Tardieu & C.Chr., Fl. Indo-Chine 7(2): 223 1940; Holttum, Rev. Fl. Malaya ed. 1, 2: 435, f. 253. 1955 [‘1954’]; Tagawa & K.Iwats., SouthE. Asian Stud. 5: 84. 1967; Tagawa & K.Iwats., Fl. Thailand 3: 279, f. 22.2. 1985; Boonkerd & Pollawatn, Pterid. Thailand: 139. 2000. Asplenium heterocarpum Wall. ex Hook., Sp. Fil. 3: 132, t. 175. 1860; Bedd., Handb. Ferns Brit. India: 153, f. 77. 1883; Hosseus, Beih. Bot. Centralbl. 28(2): 364. 1911. Rhizome long creeping, 2.5–4 mm diam., bearing two rows of alternate fronds closely on dorsal surface, scaly near apex; scales gradually narrowing from base towards long, hairy apex, up to 4 by 0.5 mm, clathrate, sometimes the cell-walls very thick. Stipes 8–18 cm long, purple, polished but dirty on the lower portion, more or less warty on upper portion. Lamina pinnate, narrowly lanceolate in outline, subtruncate at base, attenuately acuminate at apex, 20–30 by up to 5 cm; pinnae up to 40 or more pairs, subquadrangular, dimidiate, the lower half very narrow, thus the midrib close to entire lower margin, rounded at apex, truncate at acroscopic base, lobed to 1/5 way on upper margin, lobes rounded or forked at apex, about 1 mm broad, usually a lobe placed on each apical portion of lower margin, up to 25 by 8 mm, a few lower pairs slightly reduced or reflexed, shortly stalked, thin, pale green; veins distinct, all free. 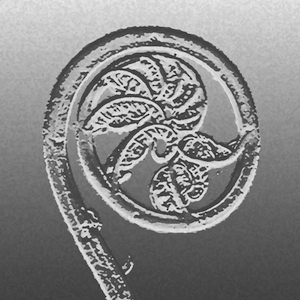 Sori confined to lobes, one or rarely two on each lobe, 1.5–2 mm long; indusia thin, opening outwardly. NORTHERN: Mae Hong Son, Chiang Mai, Chiang Rai; NORTH-EASTERN: Phetchabun; SOUTH-EASTERN: Chanthaburi; PENINSULAR: Nakhon Si Thammarat. Sri Lanka, S India, E Himalaya, S China, Burma, Indochina, Peninsular Malaysia, Borneo, Philippines, Taiwan and north to southern edge of Japan. On moist muddy rocks or terrestrial on wet sandy slopes usually along streams in lower montane forests at 1000–1800 m alt.